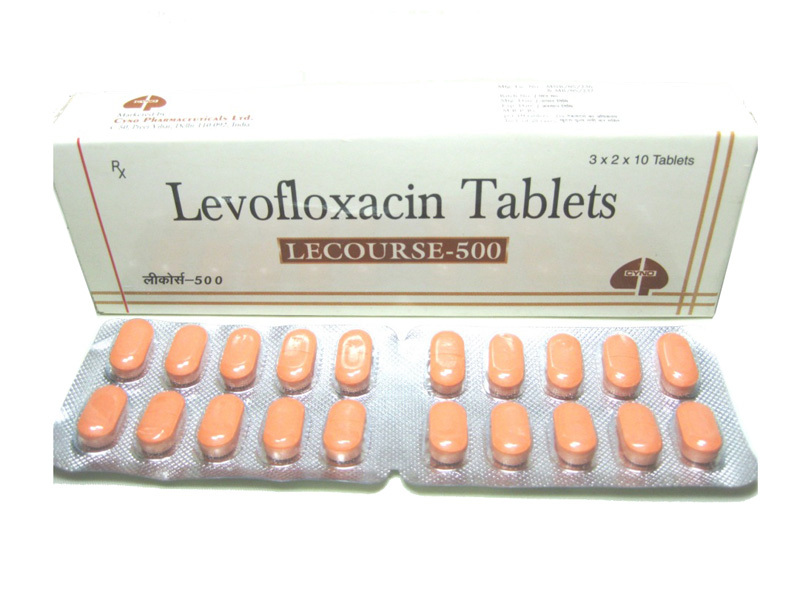 Levofloxacin is a broad spectrum antibacterial agent. It act by inhibiting the enzyme DNA gyrase (Topoisomerase 2) and Topoisomerase 4.DNA gyrase helps in the formation of a highly condensed three dimensional structure of the DNA by its nicking and closing activity and also by introducing negative supercoil in to the DNA double helix. Levofloxacin inhibits DNA gyrase which results in abnormal linkage between opened DNA and gyrase and negative supercoiling is also impaired. This will inhibits transcription of DNA in to RNA and subsequent protein synthesis. Absorption: It is rapidly and completely absorbed after oral administration. Distribution: It is distributed widely in the body. Metabolism: It undergoes insignificant metabolism in the liver. Excretion: Drug is excreted mainly through urine. 1. Nausea 2. Vomiting 3. Diarrhoea 4. Abdominal discomfort 5. Restlessness 6. Dizziness 7. Drowsiness 8. Arthralgia 9. Rash 10. Confusion 11. Insomnia 12. Anorexia 13. Bad taste 14. Headache 15. Photosensitivity. Store at 25 – 30 degree C in a tightly closed container. Give supportive measures and symptomatic treatment. Empty the stomach. Maintain appropriate hydration.